Dimensions: 10 ft. 3 in. x 10 ft. 11 in. To the charge of the hunting horn mounted hunters aided by their dogs encircle and close in on a bull seen at the center of this tapestry. Two ropes have been already thrown upon the animal and three riders point their spears at the bull. 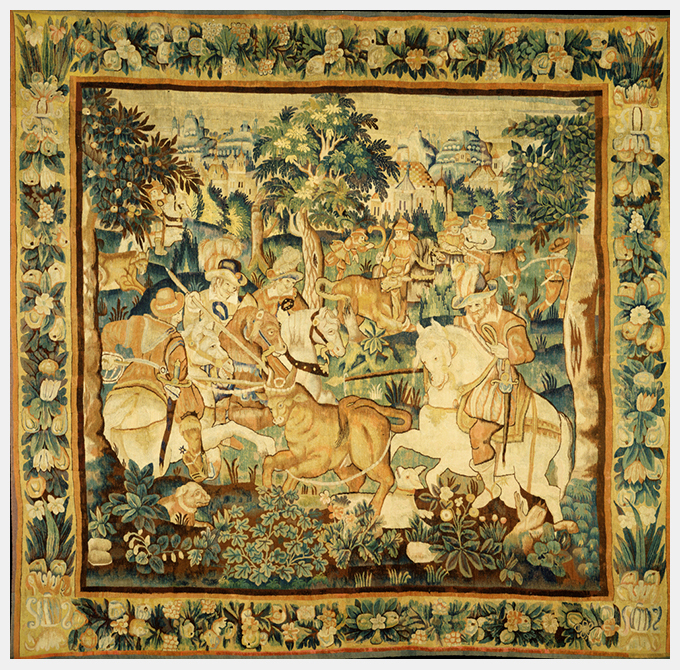 While the composition and style of this tapestry relates it to numerous other Flemish hunting tapestries, it would seem this scene is more likely a “round up” than a hunt to kill. It is also unusual that the animal being hunted is a bull. 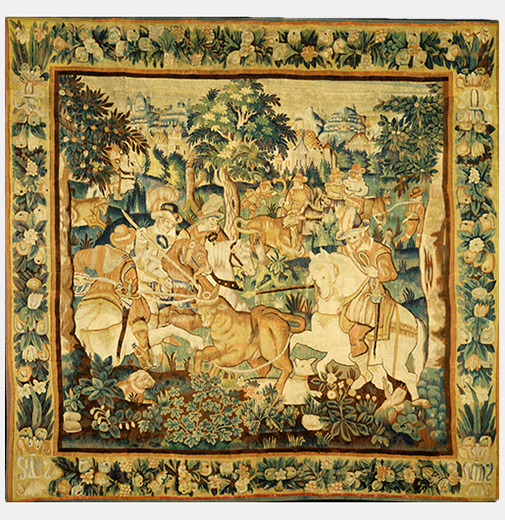 Animals more frequently depicted in this style of tapestry are the wolf, ostrich, lion, deer, boar, or even the unicorn.